Fourth Element J2 Baselayer Set MEN : . The J2 baselayer was developed for the US Deep Caving Team’s 2013 expedition to explore Cheve Cave System in Mexico. 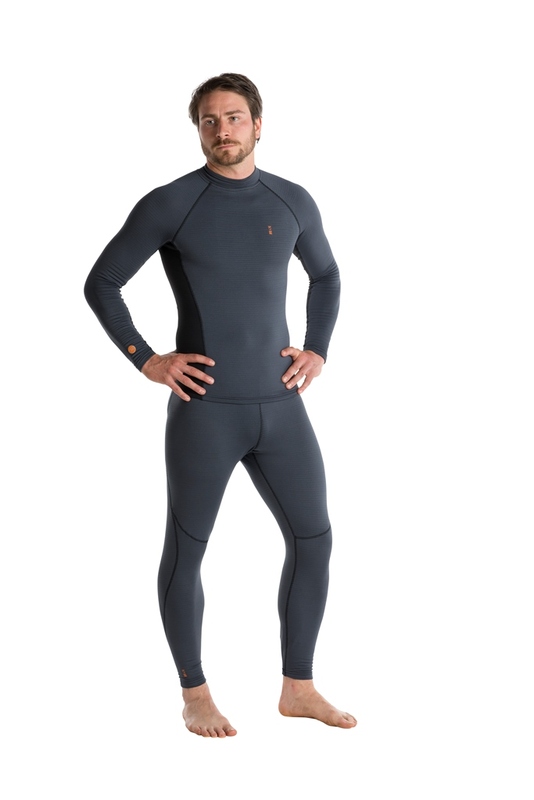 With excellent anti-microbial performance thanks to the use of silver ion technology, and outstanding wicking from a unique fabric, it is designed for extended use under a drysuit. Keeping the skin dry can be critical to success, whether it is staying warm, or preventing infections. The J2 base layer was designed to wick perspiration away from the skin and maintain a dry zone next to the skin. Air is a better insulator than water and consequently, the baselayer ensures better thermal protection. The J2 baselayer system takes this performance further with tried and tested anti-microbial silver ions embedded within the fibres of the fabric. This enables long, repetitive wear without the risk of skin infections developing – something which was critical on the J2 expedition. Silver ions are incorporated into the fibres when they are manufactured, ensuring that the bacteriostatic and anti-fungal properties of the fabric last. This cannot be washed off. The silver ions prevent the formation of bacterial cell membranes, preventing most bacteria from growing in the fibres of the garment. However, this will not adversely affect the naturally occurring bacteria on the skin itself. The J2 wicking performance also comes into its own when the fabric gets wet. Water is wicked away from the skin, and with the right combination of drysuit underwear, further away though the fibres of the undersuit. Even in the event of a suit flood, the J2 will retain some of its performance. A simple, close fitting design with flat seams for next to skin comfort offers the perfect solution under any drysuit underwear. Comfortable soft waistband and flat seams maximise next to skin comfort.